Each Tournament of Roses Association volunteer is assigned to one of 31 committees, with responsibilities ranging from selecting parade participants to directing visitors on New Year’s Day, to serving food to band members at the end of the parade route, to giving presentations about the Tournament to community groups. Nicknamed “White Suiters” because of the distinctive white uniform every volunteer wears, these community-spirited men and women give up their evenings, weekends and holidays to ensure the success of the Parade and Game. Develops alumni programs to connect former Rose Parade and Rose Bowl Game participants. Utilizes social media platforms to inform and engage key constituencies throughout the year. Gathers and creates content for use in social media. Coordinates the deployment and operation of numerous communications systems, including two-way radios, GPS and private-line phones, in support of the Rose Parade operations. Oversees the production and distribution of several forms of credentials for the Rose Parade and organizes personnel to enforce access restrictions. Makes presentations to service clubs, community organizations, schools and other groups in and around the Pasadena area in order to enhance understanding and appreciation of the Tournament’s activities and history. Hosts viewing for mobility impaired spectators at the Rose Parade. Handles all arrangements for the Rose Queen and Royal Court Coronation Ceremony as well as the Royal Ball held for all Queen and Court tryout participants.  Plans and hosts a pep rally and luncheon at the Rose Bowl Stadium for representatives of the Rose Bowl Game teams. Plans and hosts a tailgate party immediately before the Rose Bowl Game for guests of the Association. Manages the public viewing of floats at specific float-building locations. Acts as hosts to the public, arranges tours and maintains safety and security at these locations. Invites and coordinates the participation of the Rose Parade’s equestrian entries. Plans and hosts a reception in their honor and organizes the annual Equestfest event in advance of the parade. Ensures that construction of Rose Parade floats meet the Association’s quality and safety guidelines and that all mechanical functions are tested in advance. Hosts a dinner in honor of the float operators. Invites and coordinates participation of the Rose Parade’s float entrants and works to ensure they have a rewarding experience. Handles food and beverage needs for a variety of Association events and activities including annual kickoff festivities, Tournament grandstands, and the disbanding area for equestrian units and marching bands. Provides food and beverages to Association committees throughout New Year’s Eve and New Year’s Day. Represents the Association in its relationships with its partner conferences (Pac-12 and Big Ten) as well as with NCAA officials and other participating universities and conferences. Secures the Rose Parade Formation Area and works with law enforcement to maintain crowd control in that area from New Year’s Eve through the duration of the Rose Parade. Works to preserve the Association’s heritage and historical artifacts. Conducts tours of Tournament House for the public. Acts as host for numerous guests of the Association. Plans and oversees the annual President’s party and Grand Marshal party, as well as activities for the Tournament’s festival partner guests. Selects Rose Parade float judges and escorts them to judging sites. Advises on judging criteria; collects and publishes judging results to facilitate the announcement of float award winners on New Year’s morning. Acts as liaison between the City of Pasadena, law enforcement, other governmental agencies and Association committees to ensure compliance with all rules, regulations and ordinances and the acquisition of all necessary permits. Hosts and operates central press headquarters for members of the media covering the Rose Bowl Game and organizes the Hall of Fame Induction Ceremony event. Develops programs for membership recruitment, development, satisfaction and retention. Helps enhance communication with members to ensure their continued interest in the Association. Provides logistical support for membership events. Oversees and manages the Pasadena City College Intern program. Invites and coordinates the participation of the Rose Parade’s marching band entries. Plans and hosts events for participating band directors and organizes the annual Bandfest performances in advance of the parade. Oversees operations along the entire Rose Parade route, including integration of floats, equestrian units and bands in the proper order, as well as timing and flow of participants. Coordinates floats as they arrive at Post Parade display area. Oversees all logistics for public viewing of floats following the conclusion of the Rose Parade, including neighborhood relations, lost & found and information booths, vendor relations and guest safety. Assists media assigned to two designated press locations along the parade route and acts as host to specific grandstand sections. Coordinates preparation and distribution of commemorative photos and plaques for each parade participant unit. Conducts the four rounds of interviews leading to the selection of the Royal Court and Rose Queen. Accompanies court members to over 100 appearances over a span of three months, acting as chaperones, coaches and mentors. Contracts all security personnel and portable facilities for Tournament of Roses events. 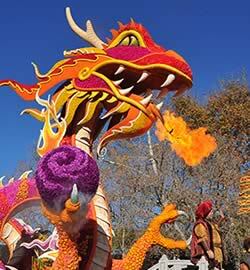 Maintains an accurate inventory of all equipment used for each Rose Parade. Hosts a number of annual events as well as additional events as necessary. Manages catering services and vendor communications for each event under its purview. Promotes volunteerism among Pasadena-area youth through the recruitment of high school students for duties in support of the Rose Parade and its associated events. Identifies and recommends activities, chaperones students at events and acts as day-to-day liaison with the students, school officials and Association officials. Acts as liaison with all television and radio outlets providing live coverage of the Rose Parade. Coordinates Parade route positions and logistics for each outlet. Facilitates broadcasters’ access to parade participant information as well as timing, staging and other relevant parade details. Support committee of retired Association members available to provide assistance to committees throughout the year and on New Year’s Day. Also act as mentors to newer members not yet familiar with all operations. Selects and secures Rose Parade vehicles loaned for the Grand Marshal, Association President, Hall of Fame Inductees and Mayor of Pasadena, and coordinates the float for the Royal Court. Responsible for placement of float award banners. Helps secure and staff Tournament House grounds between December 26 and January 2.  Hosts the Association’s Rose Parade guests at designated grandstands on New Year’s Day. Provides transportation for Association distinguished guests and Rose Bowl Game-related officials. Oversees issuance of sponsor-provided vehicles and rental of additional vehicles as needed.  Hosts the football teams and other representatives of the colleges and universities participating in the Rose Bowl Game and, when applicable, the teams and other representatives of the colleges and universities participating in the national championship. Visit our Volunteer Membership page to learn more about how you can get involved with the Pasadena Tournament of Roses Association.